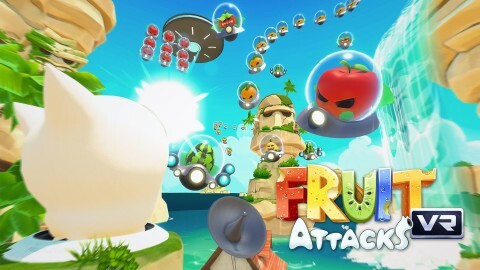 Fruit Attacks VR, developed by Nanali Studios, hits Steam Early Access on January 26, 2018. Nanali Studios makes their debut in the virtual reality space with Fruit Attacks VR, launching on Steam Early Access. Nanali Studios is targeting a first-quarter official release, followed by expanded support for other major devices. SEOUL--(Korea Newswire) January 18, 2018 -- Fruit Attacks VR, developed by Nanali Studios, hits Steam Early Access on January 26, 2018.